you guys are in for a treat. 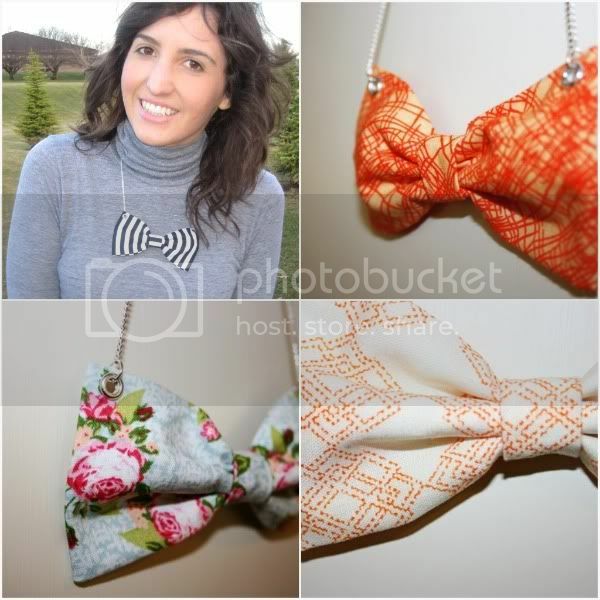 one of my favorite style bloggers, holly, is also an amazing little crafter and is giving away a sweet bow tie necklace to one of YOU. get excited. because they are adorable. see? enter the giveaway! 1. visit hollydoll on etsy. 2. tell me which bow tie necklace is your favorite. this contest is open to u.s. and international residents until tuesday, march 29, 2011, at 9 p.m. cst.